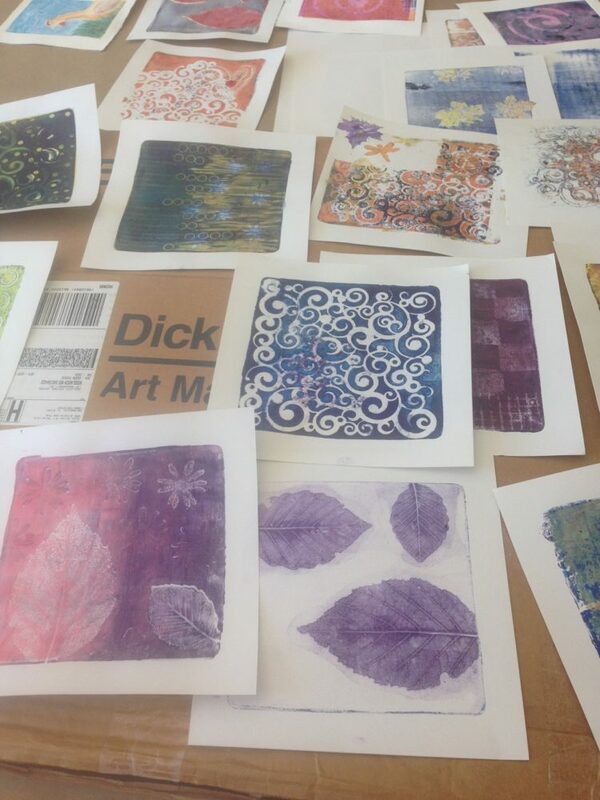 Join Debra for an afternoon of fun using simple Gelli Plates and a myriad of stencils and natural materials to make unique monotype prints. The results can be used for gift wrap, tags, collage or framed artwork. Brayers as well as direct painting methods will be demonstrated as well as blocking out and layering. We will use non-toxic soy based inks that dry quickly and have vivid color. Bring: Students may bring images to use as inspiration as well as papers they might want to print on. All Ages. Children under 10 may be accompanied by an adult.